London Wants To Be A Center Of Islamic Finance. Why? : Parallels Prime Minister David Cameron says the U.K. could issue Islamic bonds as early as next year. The country is already the biggest Islamic finance center outside the Muslim world, and Islamic financing was used to build the Olympic Village. But most important, the sector is expected to grow threefold globally by 2017. London Wants To Be A Center Of Islamic Finance. Why? London's Shard building was built with Islamic financing. British Prime Minister David Cameron announced this week that he wanted London to become "one of the great capitals of Islamic finance anywhere in the world." Cameron said Britain will issue sukuk, or Islamic bonds, valued at $320 million as early as next year. Sukuk, which are compliant with Shariah, or Islamic law, are backed by assets or cash. A core tenet of Islamic finance is that it forbids interest, replacing it with profit- and loss-sharing. So instead of charging interest, the sukuk brings a fixed return from an asset or service. For a fuller explanation of how Islamic finance works, do read this FAQ in the Guardian. Why is the U.K. interested? The U.K., as Cameron noted in his speech to the World Islamic Economic Forum in London this week, is already the biggest center for Islamic finance outside the Muslim world. Britain has banks that work on Islamic principles. 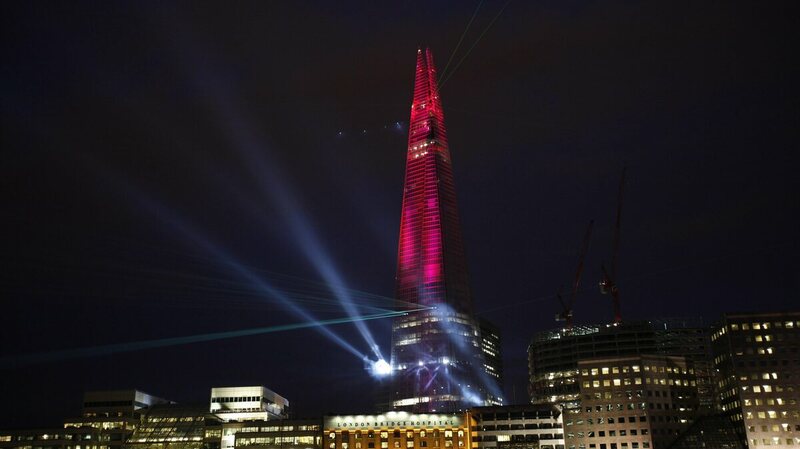 British landmarks, including the Olympic Village and the Shard skyscraper, have been financed with Islamic investments, as have Britain's first deep-sea container port and the Battersea power station. The move would, Reuters notes, "provide a much-needed liquidity management tool for Britain's six Islamic lenders and could encourage local firms to consider issuing sukuk of their own." Where else are they issued? "Islamic-banking assets in Saudi Arabia account for more than half the market. Roughly $21 billion in sukuk were issued in Gulf Co-operation Council (GCC) states in 2012, three times as much as 2011. ... Other countries are emulating the Gulf model. Recep Tayyip Erdogan, Turkey's prime minister, has emerged as a leading champion of Islamic finance." Islamic banks, bolstered by their reliance on real assets and cash, weathered the global economic crisis better than regular financial institutions. And globally, the market for Islamic finance stands at $1.2 trillion — a figure that's expected to grow to $2.6 trillion by 2017. Interest in Islamic finance in Britain has been lukewarm. The Financial Times notes that Qatar had to bail out the Islamic Bank of Britain, and last year HSBC shut its Islamic banking retail operation in Britain.